Some tennis players use their power on the service, during the match. Andy Roddick holds the fastest tennis record for couple of years but in past decade the record is broken by many players. 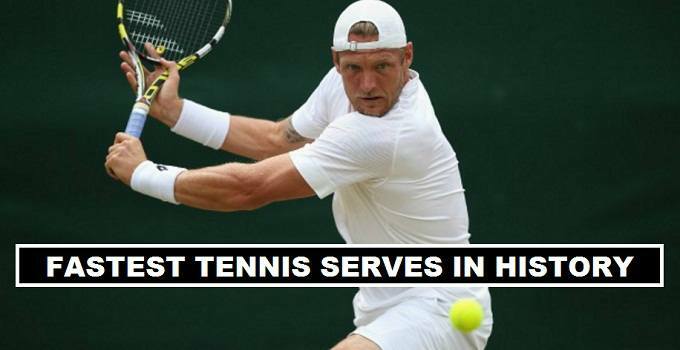 Current fastest service record hold by (Sam Groth) in tennis, he broke the record in the (2012 Busan Open Challenger Tennis) with 263 km/h serve. In same year French tennis player (Albano Olivetti) come closer to his record but can not break it. In the above table you will see the players names who hit the fastest service on the tennis court. In 2016, John Isner suprise allot of people with his serve skill speed of 253 km/h (157.2 mph) at Rogers Cup. Not only men’s create history with fastest serve there are some women tennis players who served at the pace of 201.0 km upto (210.8 km/h) in tennis matches. German women tennis player (Sabine Lisicki) made the fastest serve record in tennis during the tournament (2014 Stanford Classic) where she serve ball to her opponent with ultimate speed of (210.8 km/h), she passed Venus William record of fastest serve of (207.6 km/h).